Hi there, my darlings! 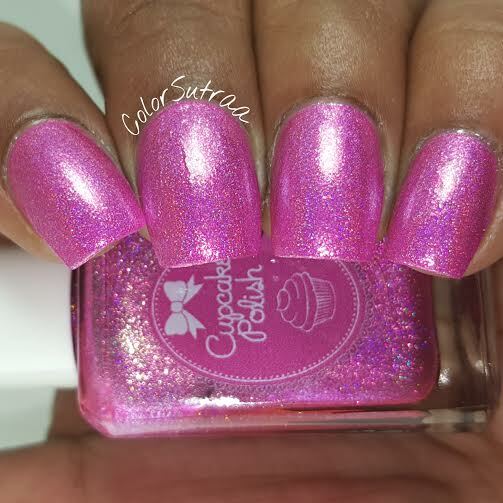 Today, I'd like to share a very special duo from Cupcake Polish, created for Crystal's Charity Lacquers. This is SUCH a gorgeous duo and created for such a touching cause! 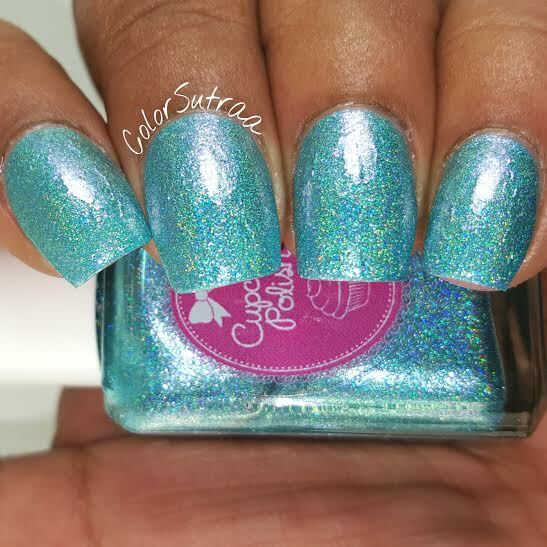 I'm Crystal from Crystal's Charity Lacquers and am working with Sara at Cupcake Polish for our fundraiser sale this month. I have been involved in charity runs for a number of years and fundraising was always something I struggled with and decided it was time to try something new. I started this Facebook group last April after contacting a handful of brands with the idea of creating custom or one of a kind polishes that would be given away to people who supported my fundraising through donations. I was overwhelmed by the brand support and on June 5th, I launched the group to the public. Our first two events were fundraising giveaways benefitting the SPCA and The Terry Fox Foundation for cancer research. The success of those giveaways was beyond anything I had hoped or dreamed and I will admit, brought me to tears of gratitude more than once. After the giveaways wrapped, I wanted to keep momentum in the group going until our next giveaway (which will be this Spring!) and launched the monthly sales, each benefiting a different charity. 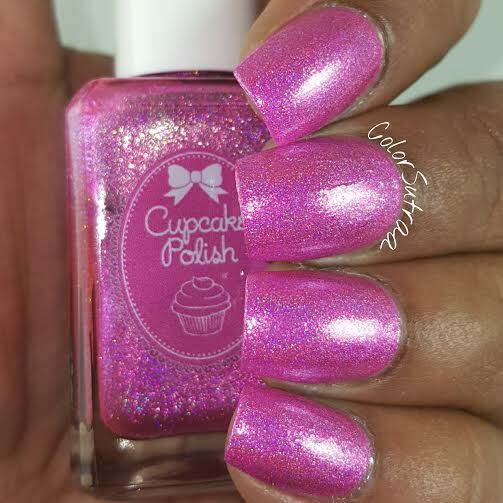 To kick off 2016, we are also launching a custom duo from Cupcake Polish. These special polishes will launch at 5 pm PST/8 pm EST on Friday, January 15th and will be available through Sunday, February 7th. After that, both of these duos will be gone! This month, we are fundraising for OVC Pet Trust for companion pet cancer research. 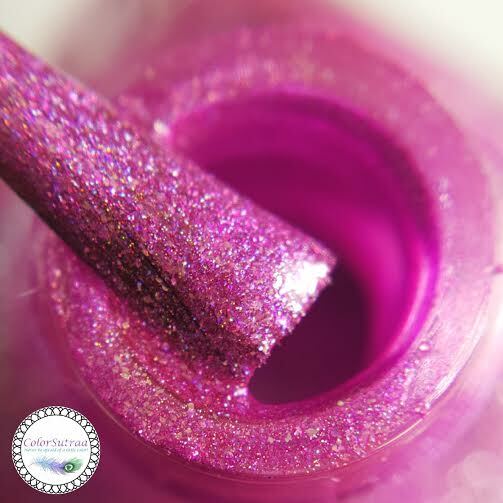 A portion of every sale of these special, limited edition polish will be donated to this cause. On October 2nd, I very suddenly lost my kitty, Ana to a very aggressive cancer. It broke my heart and was sadly not the first time I've lost a furry family member to cancer. One of my childhood dogs was also taken by cancer. After Ana passed, I learned that others in our group here also had pets fighting cancer or had just lost their fur babies to the disease. It is with each and every one of them in my heart, that I hold this month's fundraiser. I chose this particular fund for our donation after doing much research. On their site, there is a paragraph that addresses donations and how funds will be used to further research into the fight and treatment of companion animal cancers. It ends with the following quote; "Not only will our pets benefit from this contribution, but also the knowledge gained will be shared with human research, for the good of us all." I love this because no matter if we're two legged or four, we are all connected. Cancer has affected me deeply, attacking both my human family, my furry family and myself personally. I dream of a day when cancer no longer holds any of us hostage, when it is powerless against our knowledge. For all of these reasons, I chose this cause and foundation. Our polish names were chosen with Ana and all our furbabies in mind. Ana was one of my Best Fur-iends and even though she's my angel now, she will be Furever Loved. 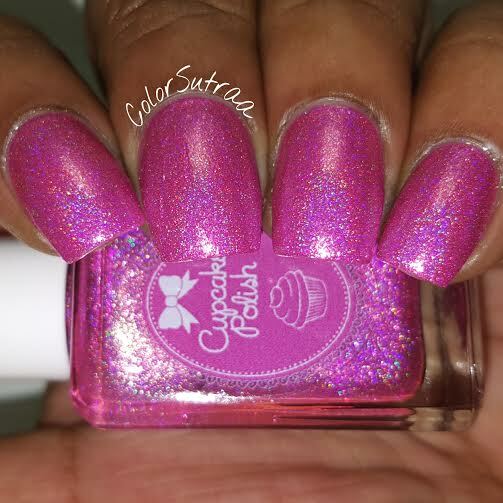 Fur-ever Loved is a gorgeous bright pink holo with lots of gold shimmers. Fantastic application and formula--the swatches below show 2 easy coats topped with 1 thin coat of Glisten & Glow's HK Girl topcoat. Isn't this the most amazing pink EVER?! 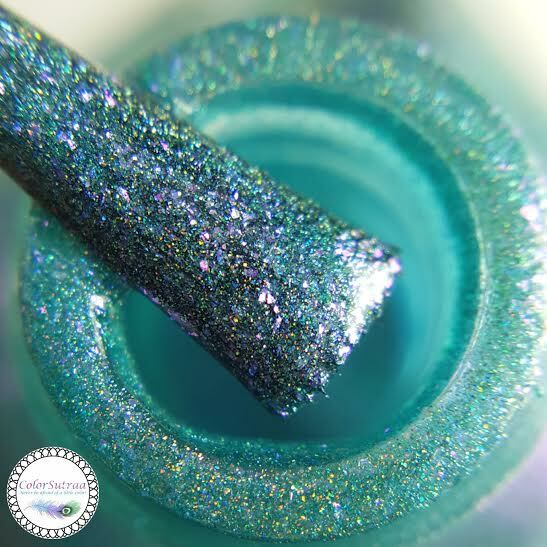 Best Fur-iends is a stunning cyan blue holo with tons of pink shimmers. 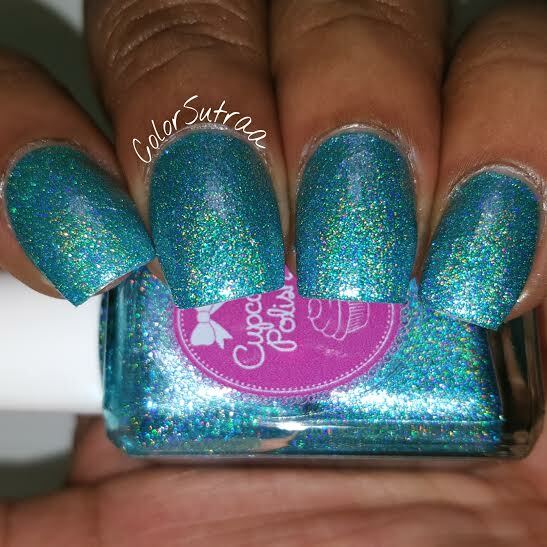 No major complaints to report with the formula or application but since there are so many shimmers in this polish, I recommend an extra coat of topcoat to make it perfectly smooth. The swatches below show 2 easy coats topped with 2 thin coats of Glisten & Glow's HK Girl topcoat. So there you have it, my darlings! 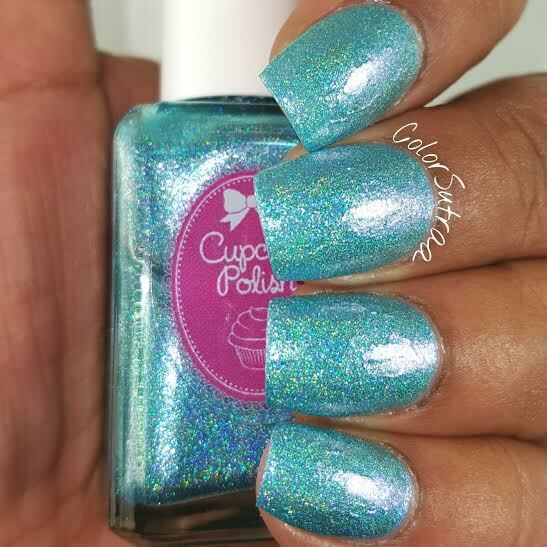 This special duo will be available on Cupcake Polish's custom shop HERE from 5 pm PST/8 pm EST on Friday, January 15th through Sunday, February 7th--each will be priced at $15 per a full-size, 0.5 oz bottle. Which of these two are YOUR favorites? Will you be adding them to your collection when it launches? I would love to hear from you in the comments section below!